The doctor told Renee Gao's parents that the tumor in their teenager's chest wasn't disappearing. The girl would need a costly operation that could leave her sterile — if she survived. Then he ushered them out. Gao Jiang and Yu Wenmei had dragged their ailing daughter across this capital city of southern Yunnan province, then north to the best cancer hospitals in Sichuan and Beijing. The family stood in hours-long lines and called in favors from colleagues at Gao's life insurance company to speed up the wait. But no one would tell them why the cure for their 16-year-old's lymphoma might threaten her life. "I felt hopeless," Gao said. So at a colleague's suggestion, he turned to a Shanghai start-up called MediStar Health that paired cancer patients with foreign doctors via teleconference. They consulted with three American physicians, who recommended chemotherapy treatments instead. Two years later, Renee is in remission and preparing for college in Australia. China provides basic healthcare coverage to nearly all its 1.4 billion people and has spent almost a decade trying to upgrade services. But many Chinese continue to harbor deep distrust in an overstretched, underfunded healthcare system. 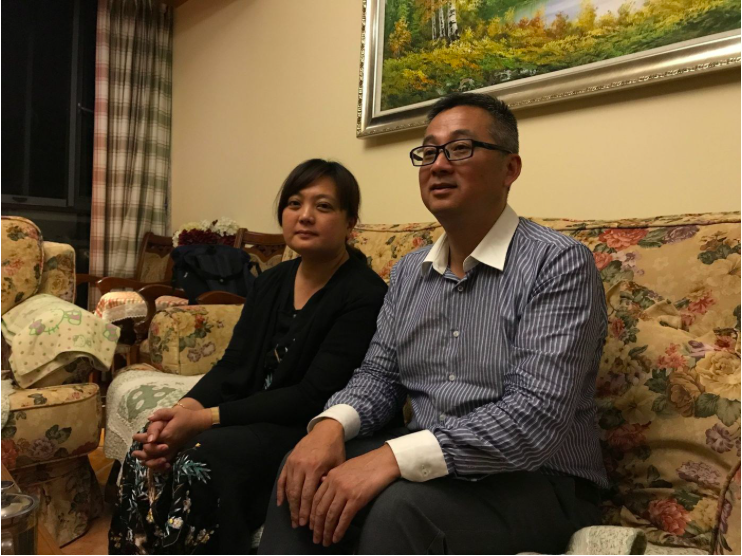 "Doctors in China are like machines," said Gao, perched on the couch of his Kunming apartment. "If you're cured, it's your luck. If you die, it's your fate." Such attitudes have fueled the rise of companies like MediStar, which find opportunity amid China's struggling medical reforms. Several dozen new businesses offer second opinions from as far away as San Francisco and Boston to middle class patients fed up with busy doctors and unclear guidance. China's medical system gained particular attention in recent years, when patients started attacking their doctors. Within a month in 2014, frustrated patients beat a Heilongjiang doctor to death with an iron pipe and paralyzed a nurse in Jiangsu. The Chinese Medical Doctor Assn. reported 13% of 12,600 doctors surveyed in 2015 said they suffered physical assaults the previous year. The tensions have less to do with doctors' skills than exasperation at a system that fails to meet the needs of an increasingly affluent, discerning society. MediStar, an eight-person operation founded in 2014, seeks to bridge that gap. The team narrowed in on oncology — fueled partly by China's elderly population and large number of heavy smokers — and built a network of 400 physicians from across the U.S. The company charges about $3,000, about a quarter of a household's yearly median income, to translate hospital records and set up one-hour online consultations. Physicians don't prescribe medicine or examine patients; they offer expertise and time. Claire Wang, a 29-year-old who grew up in Kunming and attended Allegheny College in Pennsylvania, dreamed up the idea for MediStar with a former high school classmate. Both attended university in the U.S. and were barraged with requests for help reaching American physicians. "We've seen so many cases of misdiagnosis or overtreatment," said Wang, one of three co-founders. "We're happy if we can help with one small step in the journey to proper care." Experts estimate Chinese physicians see up to four times as many patients a day as U.S. doctors. But the majority get paid less than $15,000 a year, according to Beijing consulting firm iResearch. That creates incentives to encourage multiple tests or push certain drugs, essentially a fee for service. Doctors in China are like machines. If you’re cured, it’s your luck. If you die, it’s your fate. The country also lacks well-trained family physicians at local clinics, a reminder of the "barefoot doctors" days during the Cultural Revolution when minimally trained farmers treated villagers. Many people now go directly to the hospital for flus or stomachaches, leading to waiting rooms as full as train stations. "It's not the doctors' fault of course, it's the system's fault," said Gordon Liu, director of the China Center for Health Economic Research at Peking University and an advisor to the government. "Chinese people have begun to realize when we meet our doctor we are not only looking for the technical part of the service… but also for support, affordability, and to feel more comfortable." Leaders responded to growing outrage by unveiling a massive overhaul in 2009 and pouring $900 billion into reforms. China expanded basic insurance to cover some 95% of the population but struggled to strengthen primary care or establish better financing for public hospitals. Officials "still haven't fundamentally solved the problem of access and affordability," said Huang Yanzhong, director of the Center for Global Health Studies at Seton Hall University. TreCare Medical Management, a health consultation company in Chengdu, markets those concerns about quality. "The probability of being misdiagnosed in China is much higher and hospitals are unable to provide viable medical advice," its website reads. TreCare launched in 2015 and watched its clientele more than double. The company partners with medical centers — including at UCLA — and charges at least $3,000 for online consultations. Most patients suffer from cancer or seek fertility treatments, said Sophie Xie, TreCare's director of overseas affairs. Oncology presents one of the trickiest fields. Chinese doctors often tell a patient's family about a cancer diagnosis before or instead of telling the patient, according to a 2016 study by Norwegian researchers. Relatives fear acknowledging the disease will only make it worse, especially if patients can't afford treatment. "If we do not consider the family's opinion, the consequences can be very serious," said a surveyed oncologist. "We may be beaten or scolded, or involved in lawsuits." China's National Health and Family Planning Commission, which oversees state hospitals, didn't respond to requests for comment. Gao, the Kunming parent, spoke honestly to his daughter. He memorized the technical terms for her lymphoma and studied treatment plans. Gao remembers his last conversation, through a translator, with the American doctor they consulted most, a Harvard-trained physician named Eddy Chen. Chinese doctors suggested Renee undergo an eighth round of chemo. "I asked him, 'If it was your daughter would you do it?'" Gao recalled. "He said, 'I wouldn't.'" Chen, a Boston oncologist, teamed up with MediStar because he wanted to understand the role telemedicine could play in patient care. "What's interesting is the care we provide for patients in China, I haven't done in the U.S.," he said. "It's really only starting in the U.S. as well." Renee Gao trusted Chen. She forbade her parents from taking photos of her bald head during chemo, fearful they would be her last. Now, the 18-year-old sports a trendy bob and a wide smile. She wants to go to America, partly because she loves Taylor Swift. But also, she said, to thank Chen.